Teaching kids about money is always a good thing. Kids need to know what money is, but they also need to know how to use it and save it. Teaching your kids about money is a life tool. They will use money in every aspect of their lives, so it only makes sense to start out with a money game. Money games have a lot of teaching power for kids. 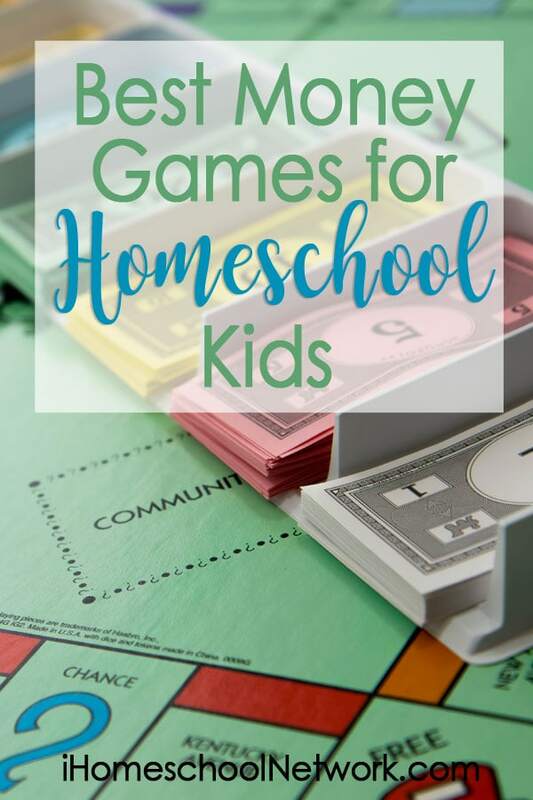 Here are some of the best money games for kids out there. 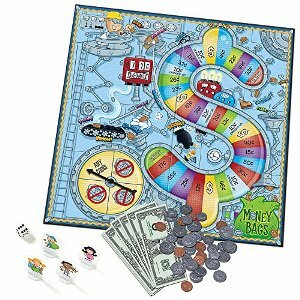 The Money Bags Coin Value Game game can help your child learn the value of money, in the form of a board game. 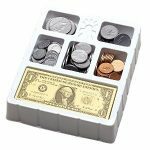 This game can keep your child’s attention, while teaching them about collecting, counting, and exchanging money. How many of your kids beg you for an allowance? 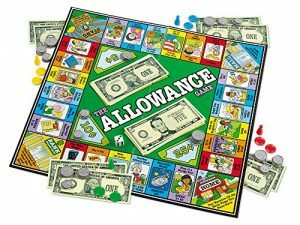 With the Allowance Game they can learn what allowance is all about with this fun allowance game. 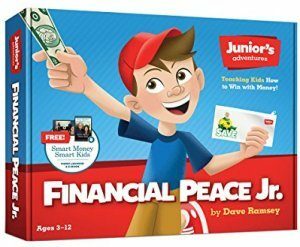 Teaching kids how to handle money just got a whole lot easier. Don’t forget teens in your endeavor to help them learn about money. 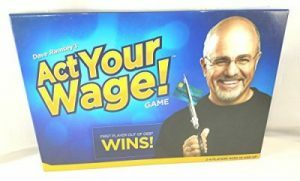 Act Your Wage is a great way to teach teens and young adults about how money works. Have a first grader who isn’t quite understanding money? That’s where this game comes in. 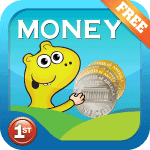 The money lessons in Money “The Game” come in a digital download and have realistic applications to help your child learn about money. It’s good for kids to know that money is always changing. 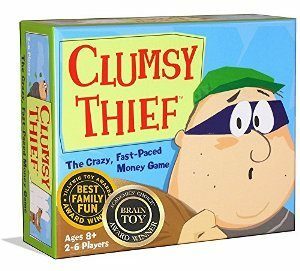 Clumsy Thief is a more fun and exciting game for kids, very fast paced. 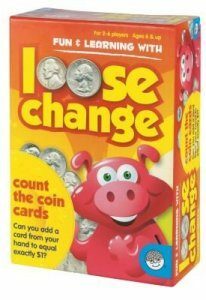 Kids need to learn about change and that’s where this fun Loose Change game comes into play. This is a great introduction to teaching your children how to count money. When it comes to learning about money, kids need to know how to add sums. 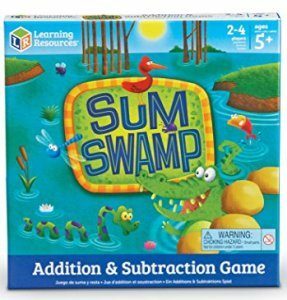 This Sum Swamp game can teach your children basic math drills and help them gain fluency in math that they need to count money. Nothing quite works like using play money. Let your kids count this money until their heart is content. It’s just like the real deal, only it has no monetary value. Kids love play money. What parent doesn’t want their child to be wise about money? 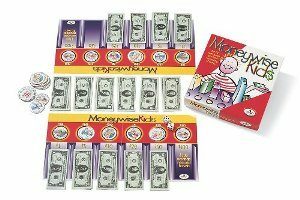 Moneywise Kids can help your child learn even more about money in a fun and playful way. 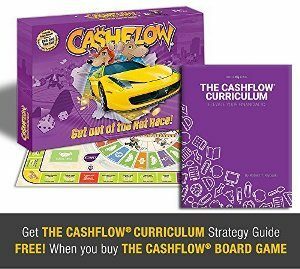 Want a more advanced game to teach kids about cashflow, capital gains, assets and liabilities ? Cash Flow for Kids is easy to understand and allows kids to practice real world investing without the risk. My 9yo says this game is a sound investment! Money matters, right? Teaching kids about money is serious business, but it CAN be fun! Virginia is the owner of That Bald Chick, where she writes about her husband, 3 kiddos, faith, homeschooling, crafts, recipes, beautiful things & much more. These all look like fun! Thanks for the recommendations!